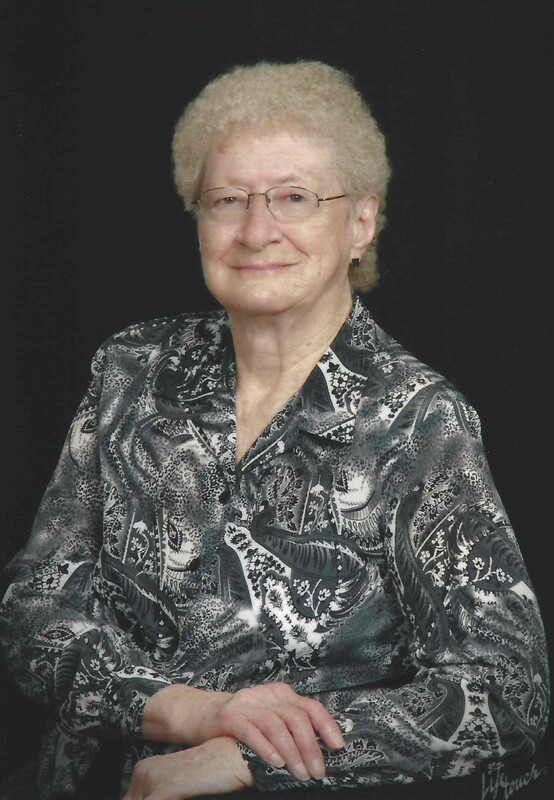 Mary Maxine Edwards, 86, a long time resident of Fort Gibson was born November 20, 1932 in Vivian, OK to Melvin and Minnie (Green) Wood and peacefully passed away Wednesday, January 23, 2019 in Fort Gibson, OK.
Mary received her education at Oak Grove School in Vivian, OK. On May 12, 1956 she married the love of her life Jack B. Edwards who preceded her in death on August 20, 2008. She worked for many years at Brockway Glass, Egans, Aunt Nette’s Day Care and also Wonderland Day Care. She enjoyed sewing, Blue Grass Music and her morning coffee. Her passion in life were her kids and grandkids. She was a faithful member of Fort Gibson Church of Christ. She was preceded in death by her parents; Melvin and Minnie Wood; husband, Jack B. Edwards; sister, Audrey Lovelady; brothers, Bufford, Charles and Ray Wood. Those left to cherish her memory are her daughters; Susan Branscum and husband Randy of Fort Gibson, Sondra Dover and husband Keith of Little Rock, AR; son, John Edwards and wife Sue of Fort Gibson; nephew, Ronnie Holuby and wife Carla of Fort Gibson; brother, Johnny Wood and wife Betty of Eufaula; granddaughters, Jennifer Yeager and husband Brian of Siloam Springs, AR, Crystal Thomas and husband Chris of Fort Gibson; grandsons, Stephen Edwards and wife Rachel of Collinsville, Nicholas Edwards and fiancé Sophie Farrow of Fort Gibson, seven great grandchildren and numerous nieces, nephews, extended family and many friends. The family of Mrs. Edwards would like to give a special Thank You to Fort Gibson Nursing Home and Hometown Hospice for their love and excellent care given to their mom. A visitation will be held noon to 7PM Thursday, January 24, 2019 at Clifford D Garrett Family Funeral Home in Fort Gibson. A celebration of Mary’s life will be held 12:30PM Friday, January 25, 2019 at Fort Gibson Church of Christ with Minister Dan Rouse officiating. Committal prayers and interment will follow in the Citizens Cemetery in Fort Gibson with Stephen Edwards, Nicholas Edwards, Brian Yeager, Bryson Yeager, Kaden Perry and Erik Holuby serving as casket bearers.